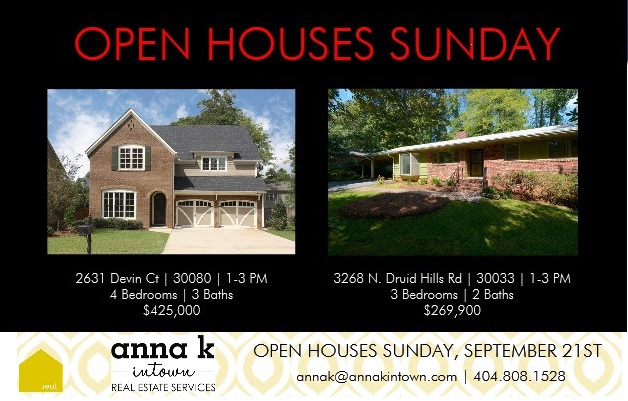 Open Houses this Sunday from 1-3! Renovated 3/2 in Decatur & Almost New 4/3 in Smyrna! OPEN HOUSE THIS SUNDAY FROM 1-3 PM IN MORNINGSIDE! 986 COURTENAY DRIVE! 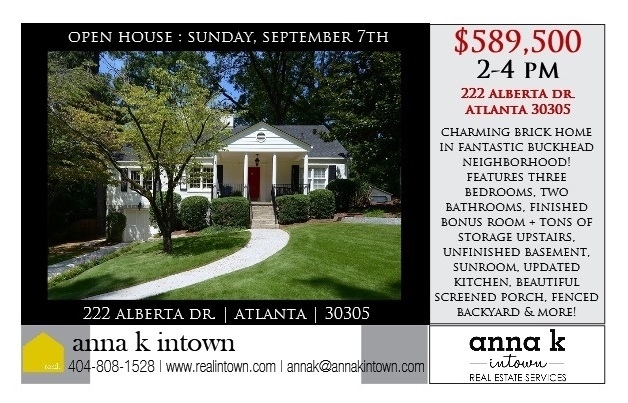 Open House this Sunday, September 7th from 2-4 pm in Buckhead! 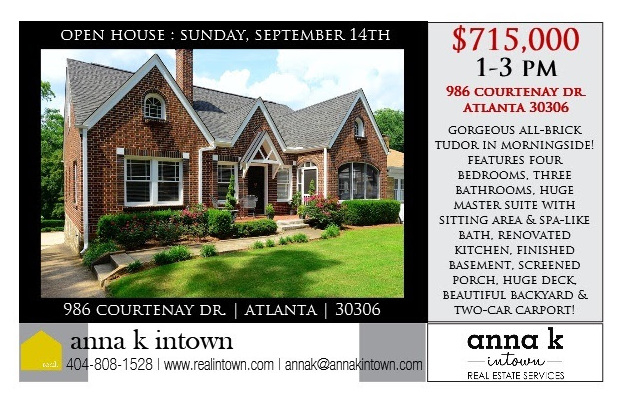 Stop by 222 Alberta Dr, Atlanta GA 30305 this Sunday from 2-4 to see this beautiful brick home in a fantastic Buckhead location!